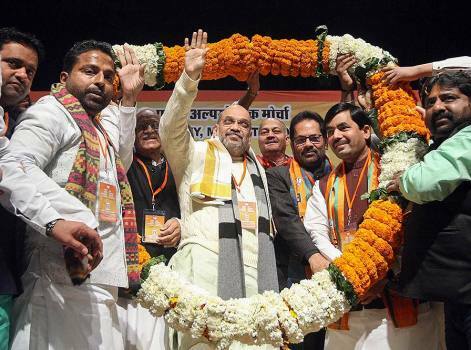 BJP President Amit Shah being garlanded during Muslim Minority Sammelan, in New Delhi. 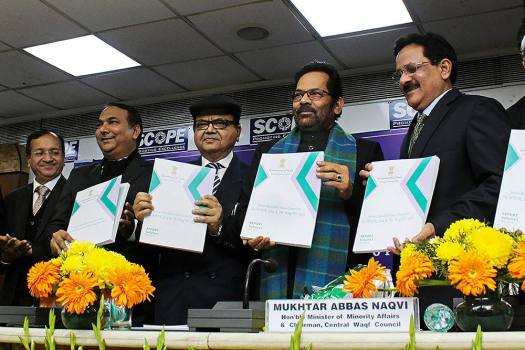 Union Minister for Minority Affairs Mukhtar Abbas Naqvi presents a report of the committee on New Waqf Lease Rule, in New Delhi. 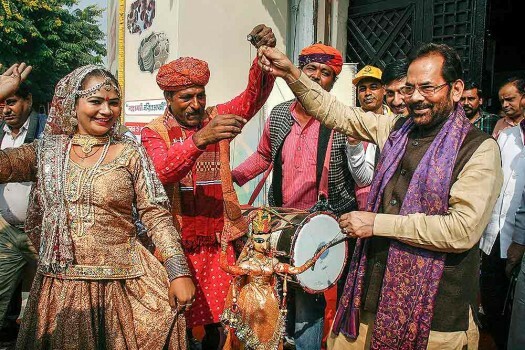 Union minister Mukhtar Abbas Naqvi inaugurates 'Hunar Haat', organised by Ministry of Minority Affairs, at India International Trade Fair, Pragati Maidan, in New Delhi. 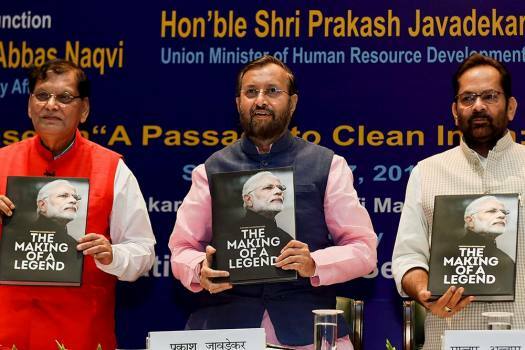 Union Ministers Prakash Javadekar and Mukhtar Abbas Naqvi release a book 'The Making Of A Legend'on the 68th birthday of Prime Minister Narendra Modi, in New Delhi. 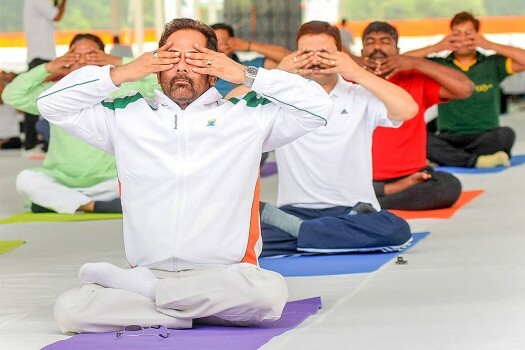 Union Minister of Minority Affairs Mukhtar Abbas Naqvi performs yoga to mark the 4th International Day of Yoga, in Ranchi. 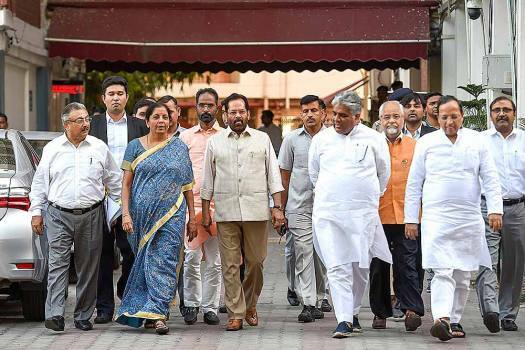 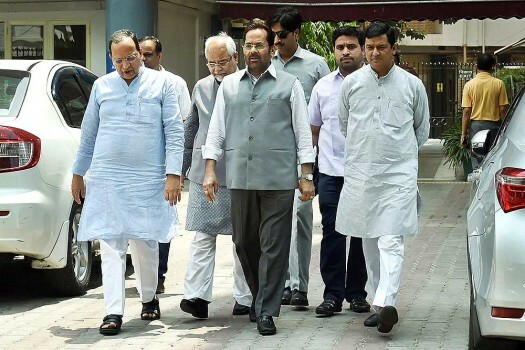 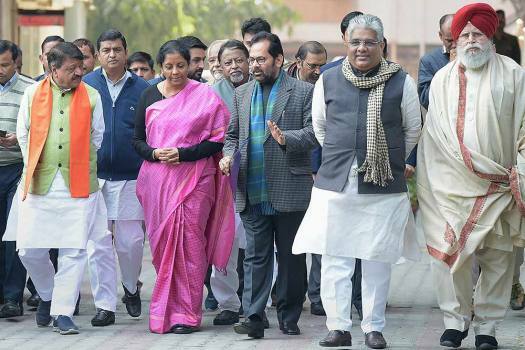 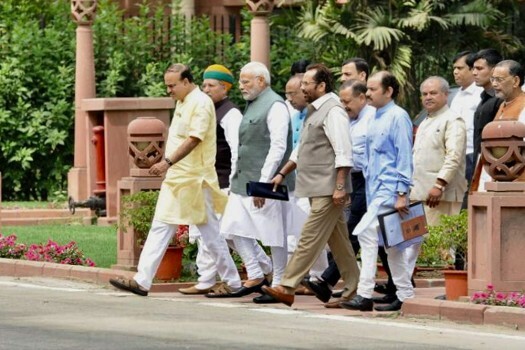 Union Minister of Minority Affairs Mukhtar Abbas Naqvi and other BJP leaders leave after a meeting with Chief Election Commission at his office in New Delhi. 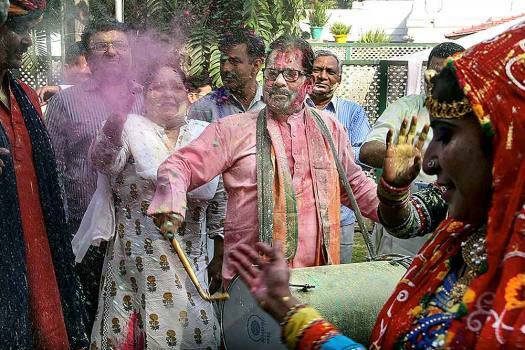 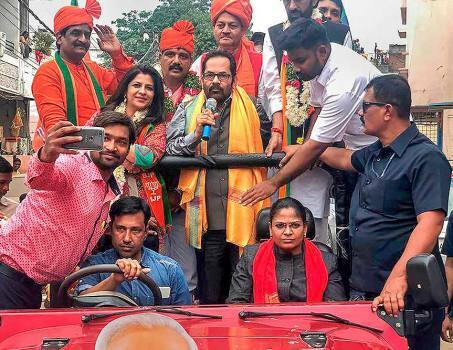 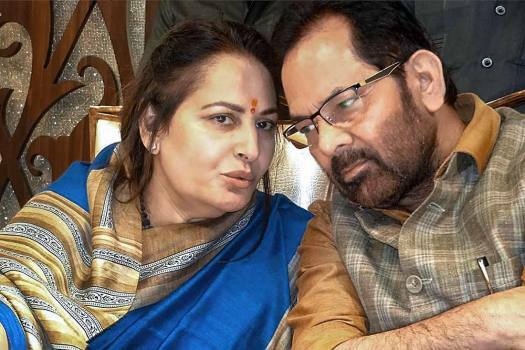 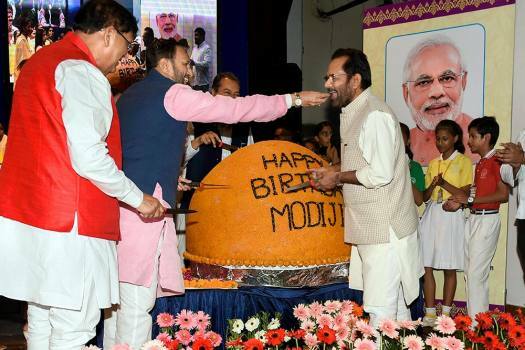 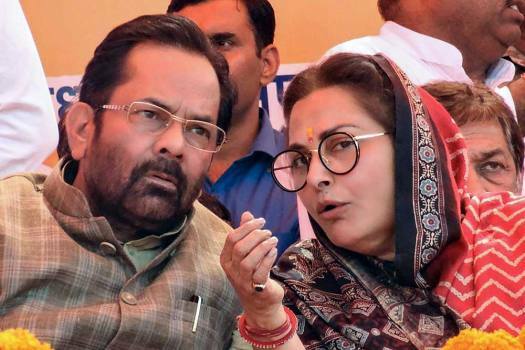 Union Minister Mukhtar Abbas Naqvi's remarks came amid statements issued by certain groups of people, including artistes, appealing to the artists to oust the Bharatiya Janata Party (BJP) from power in the ongoing Lok Sabha polls. 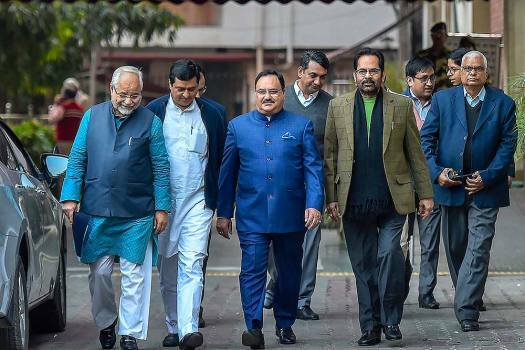 The Union minister also said that "balloon" of a grand alliance of opposition parties will burst before the 2019 general elections. 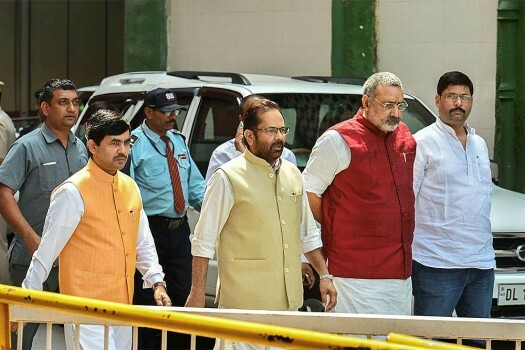 BJP says the Rahul Gandhi-led Congress party is trying to create a "negative atmosphere" in the country since Prime Minister Narendra Modi came to power in May 2014. 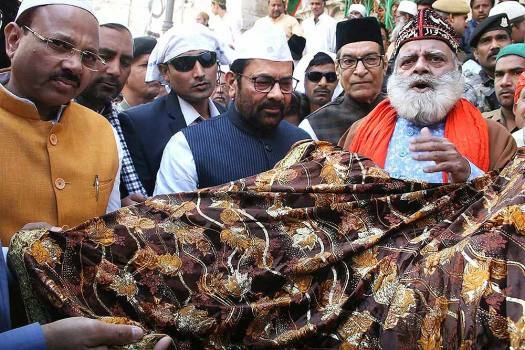 "We have to do a lot more to gain the confidence of Muslims because their minds have been poisoned over the last 70 years." 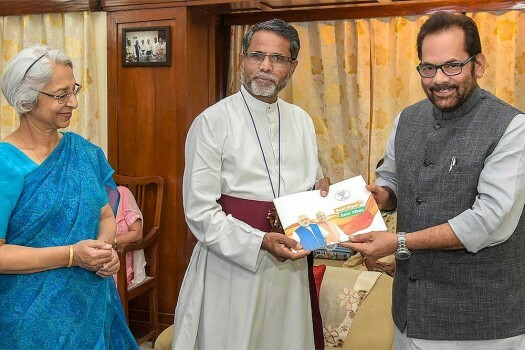 This 'complete package', with an unbiased stand, highlights important issues in various fields. 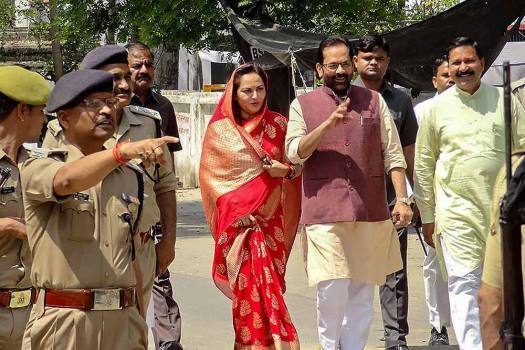 Union Minister Mukhtar Abbas Naqvi said he had held a meeting with representatives of such madrasas on Monday to discuss the issue and urged them to offer more suggestions in this regard.